(10:05 a.m. EDT) -- Phenom of the Seas, Gallant of the Seas or Eon of the Seas? These are the latest cruise ship names to be registered by Royal Caribbean through the United States Patent and Trademark Office (USPTO). The names, all submitted on September 4, potentially could be assigned to one or each of Royal Caribbean's four new, unnamed cruise ships on order. 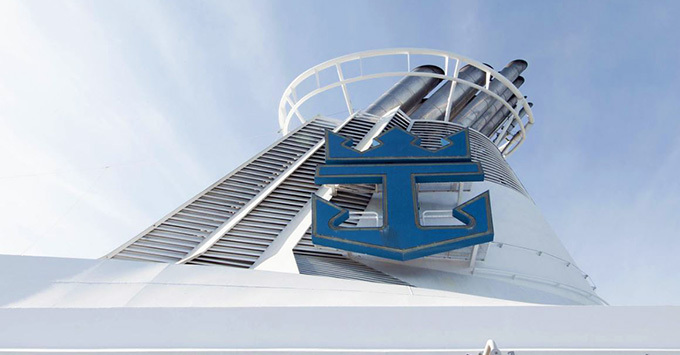 The line will launch its fifth Quantum-class ship in 2020, its fifth Oasis-class ship in 2021, and in 2022, its first in a so-called "Icon" class that will be powered by liquefied natural gas and use fuel cell technology to reduce greenhouse gas emissions. A second Icon-class ship is expected to be delivered in 2024. Previously trademarked names that ended up being used for new ships include Harmony of the Seas (which launched in May2015), Symphony of the Seas (which launched in April 2018) and Spectrum of the Seas (slated to debut in April 2019). Several other trademarked names have yet to be used. Among them are Valhalla of the Seas, Sunrise of the Seas and Icon of the Seas -- registered in January 2017 -- as well as Apex of the Seas, Joy of the Seas and Emblem of the Seas, submitted to the USPTO in September 2014.